We Take The Stress Out Of Renovating And Designing! Here at Southern Maryland Pristine Kitchen Design we specialize in Home Remodeling and will provide you with high quality Installations and Designs. We will make your dream living space your new reality for your home. We work with bathrooms, showers, kitchens, backsplash, countertops and flooring. Our company is known for its impeccable quality craftsmanship and appealing designs that are brought to you at an affordable cost. Our designers will work closely with you on your project and bring your ideas to life. We will make sure to meet your specific needs and complete the project with 100% Satisfaction Guaranteed! 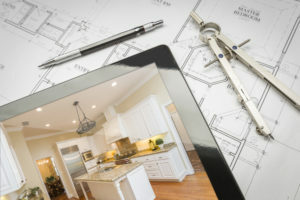 From your dream ideas to the finishing product, our four step process follows through every measure of a kitchen and bathroom renovation project, whether a small design or even a large remodel. With every client we have we will always follow this four step process to renovating and designing. This entails of our designers taking a look at your space. We will visit your home, for repeated measurements to ensure quality and accuracy. After the assessment, comes the planning. Our designers will work with every aspect of the kitchen and bathroom design until you are fully satisfied with the finishing product. They will help you place all the appliances and furniture in the right locations to give your space the maximum use it deserves. We work with each of our clients to sit down and establish a budget. It is important to do, to understand not only what our clients want, but what they need. We then, will be able to create a unique design according to that specific number from the budget. We will then provide our professional assistance to you in matching all the finishes. Our goal is to make your space look exactly how you want with those final details that make it all come together. We will provide you with the highest top quality installations done by a master craftsman. Our skilled workers take pride in their amazing work with great dedication and experience. Southern Maryland Pristine Kitchen and Design is here to show you our level of expertise, quality, service, and problem solving. Give us a call today and we will transform your kitchen and bathroom into a work of art.